Lianna Makuch is a second generation Ukrainian Canadian theatre artist. Lianna has enjoyed a diverse career working as an actor, creator, instructor, and artistic producer. Her main artistic ventures have been as an Artistic Associate and Producer with Pyretic Productions. Lianna has managed audience outreach and communications for several Edmonton arts festivals. And she co-founded, manages, and teaches at a children’s summer theatre camp, Spark! Youth Camp, which provides affordable arts education to youth in Edmonton’s Alberta Avenue Community. 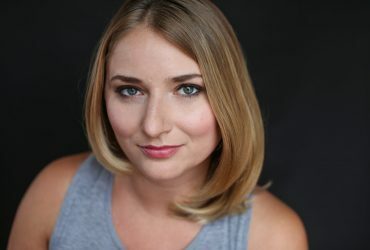 She is the playwright and principle performer in Blood of Our Soil, which won the ACUA-URDC Award (2018), the inaugural Rena Hanchuk & Yaroslav Kitynskyy Artist Award (2018), and was nominated for four Elizabeth Sterling Haynes Awards (Edmonton's premiere theatre awards), including Outstanding New Play and Outstanding Production. Lianna was recognized as a Top 30 Under 30 Artist by the Alberta Council for Ukrainian Arts. Lianna is a graduate of the BFA Acting Program at the University of Alberta. Director credits include: Blood of Our Soil (2018), Bears 2015/2018 (Associate), The Particulars(2015), and The Other(2016). He is the co-founder of the Common Ground Arts Society, and later worked as the Executive Director of Common Ground’s Found Festival. He is a graduate of the National Theatre School of Canada and the Citadel Banff Professional Theatre Program. In 2014, he received the Enbridge Emerging Artist Award through Nextfest. Throughout 2012–2016 Patrick worked as the Associate Director of Outreach and Education at the Citadel Theatre and as an instructor at the Foote Theatre School. He is a Sterling-nominated actor. 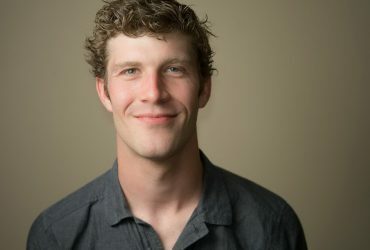 Edmonton playwright Matt MacKenzie is a graduate of the playwriting program at the National Theatre School of Canada, where he was the winner of the Quebec Lieutenant Governor’s award for excellence and community involvement. His play SIA won the 2010 Alberta Playwriting Competition, receiving critically acclaimed productions in Toronto, Calgary and Edmonton. 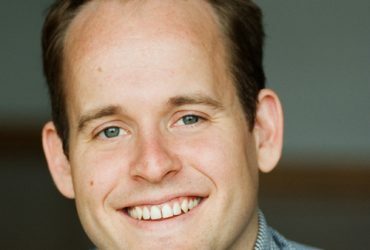 Winner of Tarragon Theatre's Urjo Kareda residency, Matt assisted Daniel MacIvor on the premiere of his new play Was Spring and Richard Rose on The Real World?. In 2015, Matt’s play Bears was nominated for five Sterling Awards, including Outstanding New Play. In 2016, Matt’s play Benefit was nominated for a Betty Award and was shortlisted in the Alberta Playwriting Competition. In 2017, Matt’s play Bust received a Sterling nomination for outstanding new play and his play Bone Wars was awarded the Sterling for Outstanding TYA Production. This year, Bears, which Matt wrote and directed, as well as Minosis Gathers Hope, which Matt directed, are touring the country. Bears won two Dora Mavor Moore awards, Toronto's premiere theatre award recognitions in the Independent theatre category including Outstanding New Play and Outstanding Production.